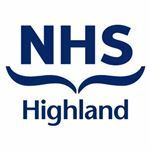 We are looking to recruit a Band 2 Health Care Assistants to join the team at Islay Hospital. The role will involve working long days, nights and weekends on a roster system. The role involves assisting registered staff in the delivery of interventions, care and support to patients which will facilitate early discharge from hospital. Please quote job reference number 19AB/077 in the subject line of your e-mail or enquiry.